Things are happening up on that roof! Although this heat wave may be less than ideal for us, it’s been great for the garden! The rooftop is producing like crazy right now. Yesterday we harvested cucumber, two varieties of zucchini, and paddy-pan squash. This harvest will go toward healthy snacks and cooking classes for the day camps at Dawson. Can’t get more local than that. Zukes, cukes, and paddy-pans – oh my! The Green Machines day camp group at Dawson had their first visit to the roof top this past week. They identified the different plants growing in the garden and started labeling them. Afterwards they got to enjoy mint-flavored fresh-squeezed lemonade made from mint harvest from our garden! 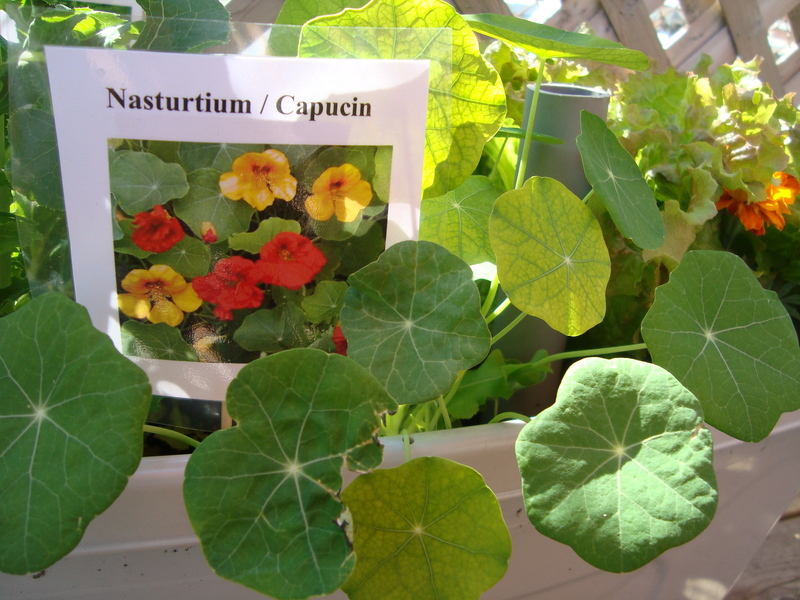 Nasturtiums identified! Pretty and edible. We’re using some tried-and-true vertical gardening techniques up on the rooftop for our vining plants. The cucumber and tomatoes are being trained to climb the lattice fence that surrounds the terrace and the zucchinis and squash are being propped up by vertical supports. Vertical gardening is a great way to grow large plants in small spaces. Instead of the squash and cucumber plants spilling all about, they fill the wall with their leafiness – which adds to the garden-oasis-feel up on the roof. In practical terms, growing plants on the vertical plane makes harvesting, pruning, and watering easier, plus it’s good for the plant as it allows for more air circulation. Read more on vertical gardening techniques here. 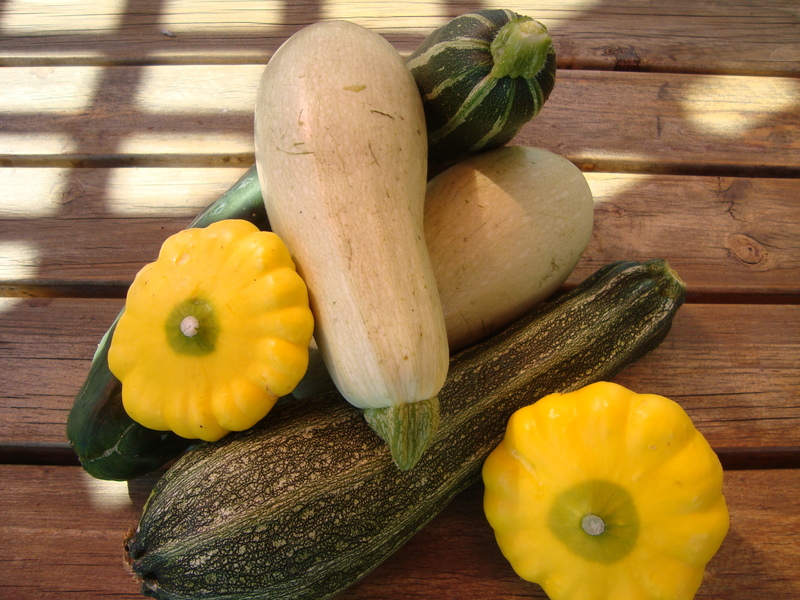 And come check out our zukes and cukes on Tuesday from 10h-13h! This entry was posted in Projects // Projets. Bookmark the permalink.